Col Prakash Dhodapkar (Retd) is an Infantry Officer from the Madras Regiment with a rich & varied experience of 32 years in the Indian Army. Apart from important Instructional and Staff appointments, the officer has held the challenging responsibility of commanding two Infantry Battalions consisting approximately 1200 troops in the challenging Counter Insurgency Area of J & K. The officer has worked in Pegasus Institute as a Outbound Trainer for approx one year and now is a freelance facilitator apart from being a General Manager in a security company. He has conducted a number of Team Building and Leadership programs. He is very friendly, observant and expert in relating significant observations to concepts. Pradeep Prakash is Mechanical Engineer and Management Graduate. His specialization in HR reflects his core interest as he continued further to assume authoritative professional member of ISABS. He has been intensely associated in training for over 25 years. His career path clearly indicates that he has switched over alternatively both sides of training; to impart and to acquire. 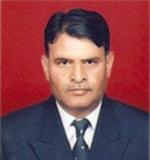 He was a professor at Punjab Engineering College and further in Birla Group. His core competency shows expertise in Transactional Analysis, Organizational Development & Change, Motivation, T-group methodology, Team and Culture building. His skill set includes various aspects of HR, Sales & Marketing, Strategic Leadership, Communication and Organizing. He has written numerous articles on Organizational Effectiveness and is a proud author of a book tilted 'Knock and the Door Shall Open'. He is very effective and impact making human process facilitator. His aim in life is to develop skills and attitudes amongst the organization and men & women which fosters culture of excellence and brings fulfillment for both the organization and the employees/management. A unique passion for connecting with people and achieving breakthroughs has established Priyanka Singh, a former banker, as a skilled trainer in corporate circles. "Dare to dream, give your best and be authentic" has been a motto which she lives by. She has a gift for reaching out to her participants and to inspire them to seek the best in themselves. She encourages people to face their fears and passionately pursue their goals – professional and personal. She has to her credit, in her career trained over 5000 participants across the country. She has exposure to a wide spectrum of industries ranging from banking, finance, insurance, BPO's, I.T, manufacturing to travel and tourism. Some of her prestigious corporate clients include HSBC, HDFC Bank, Kotak Bank, ICICI One Source, Sharekhan, Tech Mahindra, Aviva Insurance, IDBI Bank, SBI Bank, Godrej Agrovet, and Asian Paints. This collective experience has resulted in a deep reservoir of business acumen that benefits clients to achieve business results. Priyanka started her corporate career with HSBC, accepting challenging responsibilities and constantly growing in Customer Service, Sales, Branch Management, Business Development and HR. 10 years with HSBC layed the foundation for a passionate career in training. She specializes in the areas of Customer Service, Sales, communication Skills, Interpersonal Skills, Creativity and problem solving etc. She constantly strives to add new modules catering to customer needs. Successfully completed the “Basic Practitioner of Neurolinguistic Programming” (NLP) awarded by “The National Federation of Neurolinguistic Psychology”. Successfully completed the “Leadership Skills and Emotional Intelligence”. Workshop conducted by Think Inc. – Mr. Vijay Batra. Awarded the certificate of Honour in “Count Your Chickens Before They Hatch” Seminar by IIPM Planman Consulting, Mr. Arindham Chaudhary. Successfully completed the “The Advance Curriculum for Living” workshop conducted by “The LandMark Forum”. Attended the 10 day Vipassanna Meditation Course, Igatpuri. 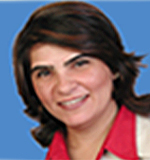 is a behavioral trainer, coach and Human Resources consultant with over nine years of experience in the Asian markets. She is also a writer and public speaker on behavioral skills and metaphysics. Rukmini has carried out consulting assignments such as large-scale employability projects in emerging economies, HR Development in organizations, goal-oriented personal coaching as well as effective training interventions for corporate houses. She is currently engaged as a coach to a leading realtor in eastern USA, working on overcoming addictions and holistic transformation. She is a principal consultant in the area of content development with School of Soft Skills, that is working towards employability development with the government in South Africa. In the past, Rukmini had been employed with renowned organizations in India and Singapore in mid-management and leadership roles and has been exposed to various aspects of HR and learning processes. Academically, Rukmini has Masters Degree in Industrial Psychology as well as Management, after doing B.Com University of Mumbai. She regularly undertakes professional courses for upgrading skills and is also a certified Photo Reader from Learning Strategies Corporation, USA. She has been a recipient of prestigious professional scholarships from world-renowned organizations. She is a visiting faculty in many Institutes. Currently she is pursuing a fellowship program in organizational development from the Asian Human Resource Board. As a freelance writer, she has several publications to her credit, including books and articles. Integration of metaphysics, spirituality and business management is a special area of interest that she works on professionally and academically. She is a life member of Mensa International (India) and Indian Society for Training and Development. On the social front, she has been actively associated with international organizations including Toastmasters Club and Rotaract. 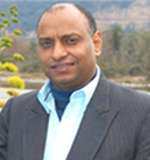 Ulhas Deshpande is highly qualified consultant. He holds Masters Degree in Labor Studies and a Bachelor’s Degree in Law both from Mumbai University. He is also certified in Production Planning and Inventory Control from Bajaj Institute of Management Studies of Mumbai University. He has completed Facilitators Training in Total Quality Advantage and Quality Improvement Teams conducted by ODI, UK. 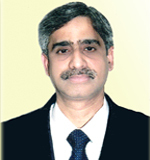 Deshpande started his career with Borosil Glass Works Limited (Group of Corning, USA)and subsequently worked with German Remedies ltd, SKF Bearing India Ltd, Camlin and lastly at JM Baxi as Sr. Vice President HR. His 37 years of experience comprise of Quality Control, Industrial Relations, Effective Formulation, Planning and Implementing. 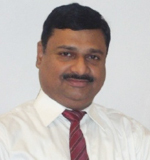 He has conducted more than 30 programs in TQA all over India for SKF group. Besides being a highly competent professional, he is very calm and thorough in his approach. Development whether organization or human being, is always at the back of his mind. 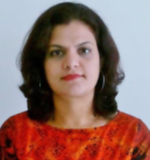 Neeranjna is a multifaceted learning and development professional with unique blend of rich and broad experience of more than 9 years in Business and HR functions in different industries like BFSI, Telecom and F & B. She is a Post Graduate in management; who aspires to develop human capabilities for organizational success. She is a certified Thomas PPA and NLP Practitioner. Neeranjna has an expertise of using behavioural tools in all her learning and development practices to approach it scientifically. She has conducted training for prestigious companies like Pidilite, GE, SAPA, LATTICE, Saint Gobain, Merck Millipore, Deepak Fertilizers, Symbiosis Institute, BMC Software, Murugappa Group, etc. Before facilitating at Touch Innerself, She worked with Pegasus Institute and Alchemy Management Consultancy, where she applied her facilitation skills in various human & organizational aspects to organizational success. She has been involved in full training cycle including; need assessment, design & delivery and evaluation. She is highly driven by her core value system of sense of purpose, responsibility, ethics, and sensitivity towards people. Her passion to excel and making a difference, drives her life to explore and learn. Neeranjna strongly believes in Experiential way of learning and have conducted numerous team building and leadership out bound programs across India. Dr. Sapna is a master Corporate Trainer, Spiritual Counselor and Life Coach & is associated with many organizations and educational institutions. Her experience and association with people from various domains equip her to effectively understand and channelize people’s energies and actions. She is empathetic, creative and possesses refined communications, presentation and connection skills. An Eye surgeon by qualification she plunged head on into her passion of training and counseling and has amassed additional qualifications in Counseling, Life Coaching, Industrial Relations and Personal Management, HRD, Training & Development, Freelance journalism and Psychometric Assesment. 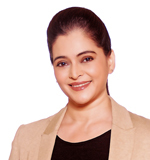 She has conducted training programs on Stress Management, Communication skills, Relationships management, Women empowerment, Retirement planning, Life skills enhancement, Teacher’s excellence, Spiritual parenting, Transition from college to profession & many more customized topics and has been consistent in delivering positive change oriented motivation and lasting results. 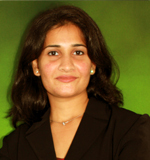 She has overall 15 years of experience in the Counseling & Training domain. Her core competency includes Connecting with the participants, Conducting emotions based sessions, Implanting the seed of Deep psychological analysis of the participants. She has been the psychological facilitator on out bound training programs and offers her Counseling and Life Coaching services for the benefit of individuals from 10 year olds to director level. Dr. Sapna believes in MENTORING the leader within each one with the belief that every employee, teacher, staff and student is an institution in themselves and that for the growth of any organization or institute the attitude and contribution of each of its member matters. Dr. Sapna has been compiling her experiences and learning from each individual she meets and is an author par excellence. The readers hold her books and articles close to heart. Widely travelled and variedly experienced she is bestowed with The prestigious SHIROMANI SAMUPADESHAK award, COUNSELOR OF THE DECADE award, SUCCESSFUL WOMEN IN MANAGEMENT award and has been crowned MRS. INDIA WORLD among many other accolades.